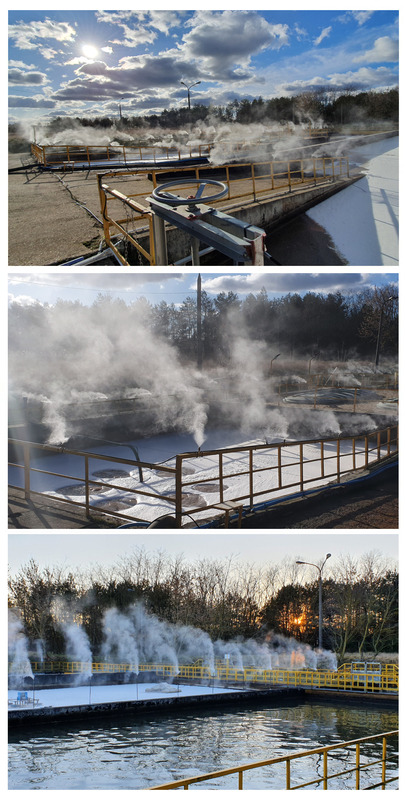 The company of OXYS also offers deodorizing and neutralizing systems for odours of various origins in open tanks, large spaces and at scenes of breakdown or construction sites (mobile systems). 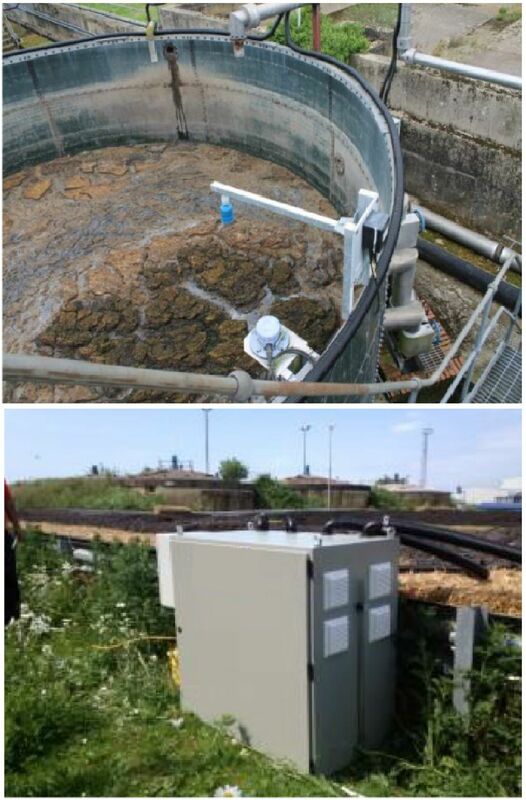 The systems perform very well in industrial plants and, first and foremost, in sewage treatment plants. - no need to connect to a water supply system. - it can be used both inside buildings and in open spaces. - various spraying methods depending on the requirements for a given application. - quick installation and easy to use. This high-pressure, peripheral system is designed to provide protection against odours escaping from a restricted area. The system can also be used to suppress various dusts at construction sites or in industrial facilities and factories. In order to suppress an odour, the system uses a special liquid, which is automatically dispensed into the system. After dilution with water, the liquid is pumped into a nozzle system and sprayed around the boundary area of odours or dusts. - The system adjustment allowing for changes in the wind velocity and direction. - Mist can be sprayed even up to 20 meters. - Special self-cleaning nozzles preventing blockages.. Odor Master mobile odour neutralizing unit is an excellent system for odour and dust problems. It is a highly mobile device with its own water source, which can be moved to different places as the need arises. The device automatically mixes a liquid neutralising agent with water and pumps the mixture to the nozzle placed on the boom. The sprayed mist effectively suppresses odours and dusts, even at a distance of 25 m.
- Powered by 230 V mains or electricity generator. 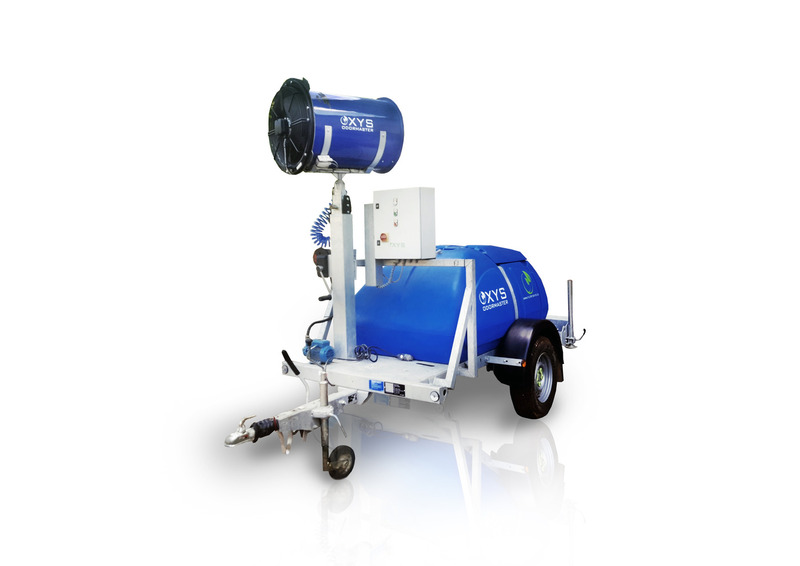 This system consists of a powerful fan assisted by a rotary atomizer, mounted on a stable metal mast. The system operates by pumping water mixed with a neutralizing agent to a fan assisted by a rotary atomizer, which distributes the mixture in a narrow spectrum of droplets. This unusual mist is additionally driven by a fan located behind the atomizer. 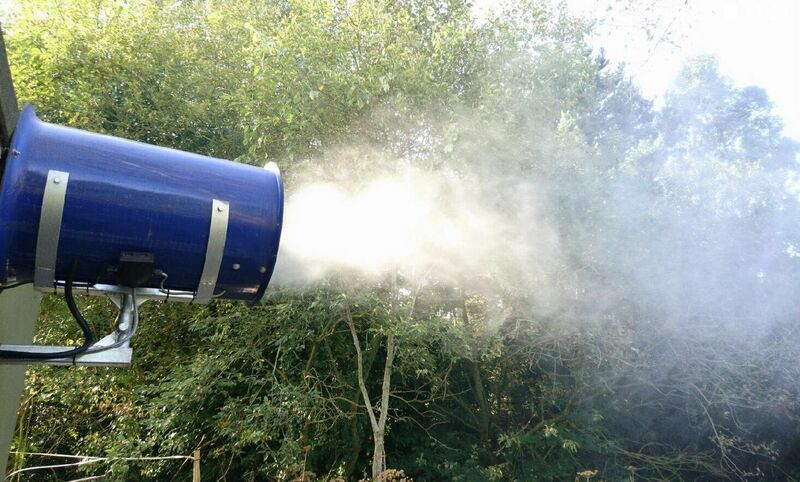 The spray covers a distance of 30 to 45 metres. The device has a rotation range of even up to 100 degrees. Its flow rate can be adjusted in a range from 0 to 180 litres per hour.